Minh Duong case: Vietnamese man awaiting medical treatment after neo-Nazi bashing is banned from Australia (ABC)If this is not a case for Ministerial discretion, then nothing is. Minister Morrison, over to you. Attacked by Neo Nazis while a guest in our country, but not allowed to stay for treatment. A Vietnamese man awaiting medical treatment after being bashed by Melbourne neo-Nazis is in limbo after being banned from Australia for three years. In 2012, Minh Duong was punched and kicked by two Neo-Nazi sy7mpathisers 70 times, stabbed, and had a brick smashed over his head with such force that the brick broke in two. His front teeth were smashed out in the racial attack and he is still awaiting $25,000 worth of dental treatment. Last week Mr Duong was forced to leave the country after immigration officials at Tullamarine airport flagged that his student visa had expired in March last year. He disputes that, claiming to have written confirmation from the Immigration Department that his visa did not expire until March 2014. But despite his claims, Mr Duong was forced to leave the country as an “unlawful non-citizen” and is now residing in Ho Chi Minh. He has also been told by the Immigration Department that he is not allowed to return for three years. A petition with 67,000 signatures demanding that Mr Duong be allowed back into Australia to receive medical treatment and graduate from university was delivered to Immigration Minister Scott Morrison on Thursday. But in a statement to the ABC’s 7.30 report, Mr Morrison’s office maintained that Mr Duong departed Australia as an unlawful non-citizen since his last student visa had expired. The statement said Mr Duong would be supported by the Australian embassy in Vietnam. The Immigration Department also said that it was investigating the apparent contradiction between its records and Mr Duong’s and that it takes instances of fraud seriously. Adrian de Luca, a Melbourne musician fighting Mr Duong’s cause, says Australia has a responsibility to the Vietnamese man. “We have to take care of this young man,” he said. “He’s an international guest – he’s not a refugee, he’s not come here illegally, he’s not an illegal immigrant. 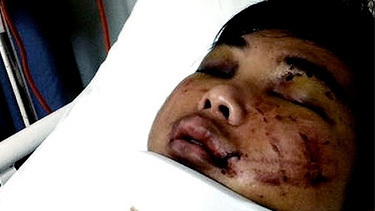 Detective Acting Sergeant Kevin Burke, who investigated the bashing, wrote a letter to the Immigration Department outlining Mr Duong’s injuries and asking the department to take the crime into account when making a decision. “It’s certainly one of the most shocking and serious assaults that I’ve attended in my time as a detective and certainly my time in the police force,” he said. Australia: rapidly gathering the reputation of being the least charitable, most unpleasant “civilised” country in the world. Why not write and tell him what you think? 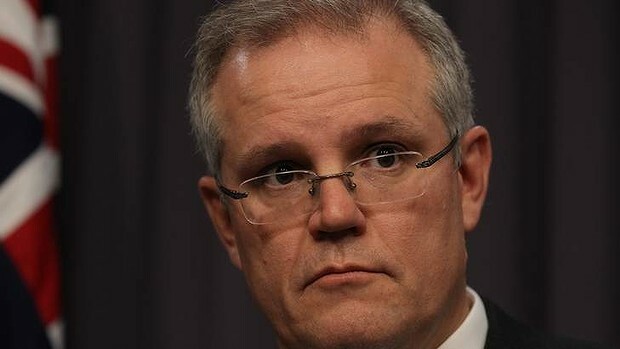 You might care to tell Scott Morrison what you think of his conduct of the Immigration Portfolio. If so, here’s how. No matter how angry you may feel, it is worth considering that polite comments or enquiries are more likely to elicit a response, although with this Minister, I wouldn’t hold your breath. Also read: When silence isn’t golden. For shame, Australia, for shame. Minister Morrison – silence is not golden when it is designed to mislead us, and obscure the truth.